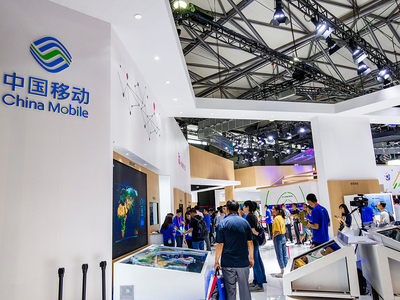 China Mobile Communications Corp, the world's largest mobile carrier by subscribers, reported a 0.3 percent decrease in revenue to 567 billion yuan (81.4 billion U.S. dollars) in the first three quarters of this year, its first ever revenue decline since 2014. "The elimination of domestic roaming fees and increasingly fierce competition among telecom operators are posing challenges to mobile service revenue growth," China Mobile said in its latest fiscal report. China scrapped domestic data roaming charges from July 1 this year to ensure more affordable services, which place pressure on telecom operators' revenue and profit growth, as earnings from mobile data services are an important source of revenue and core business. China United Network Communications Group Co Ltd, another leading telecom carrier also known as China Unicom, posted a 164.5 percent jump in net profit to 3.47 billion yuan (498.1 million U.S. dollars) and a 6.5 percent increase in revenue to 200 billion yuan (28.7 billion U.S. dollars). Revenue from China Telecommunications Corp Ltd, which is also known as China Telecom, also increased during the period by 3.6 percent to 285 billion yuan (40.9 billion U.S. dollars), while its net profit rose 2.7 percent to 19 billion yuan (2.7 billion U.S. dollars). Analysts point out that the big three telecommunication carriers are displaying fatigue in revenue and profit growth, amid mounting competition in mobile services to gain users as well as continuous investment in 5G. "They are facing pressure epitomized in that all of the big three witnessed a drop in ARPU (average revenue per user)," said Fu Jianliang, an independent telecom analyst. "It comes as all operators scramble to promote huge or unlimited data packages at low costs." Moving to the future, the growth momentum may slow down for telecom carriers as the construction of 5G has moved into the next phase, he said. "Big efforts including investment are needed in the early phase of the 5G commercialization, which will add uncertainties to both revenue and profit growth."